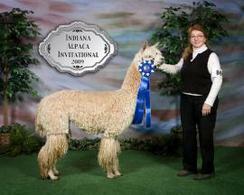 Daughter of two imports: CPeruvian Accoyo Aimee and 4Peruvian Santarosa Sundance. Apollo is a light fawn son of the highly regarded Fine Threads Jax. 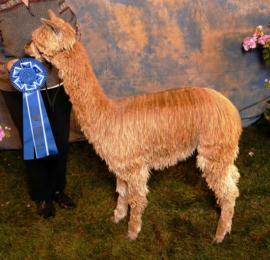 He carries and passes true black genetics from both his sire and grandsire 4Peruvian Renzo. Both of Apollo's parents are 1st generation offspring from imports - his grand parents passed the rigorous screening process to make it to America from Peru. We first saw Apollo at the 2008 MIAF where he and his son both won blue ribbons. 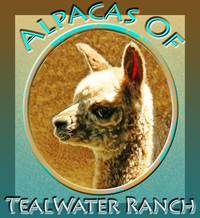 With limited breeding by his prior owner, he had already produced blue ribbon winning cria. We acquired Apollo in Feb. 2009 to breed with our colored suris and give his color genetics a chance to come through, and did we get color in 2010! 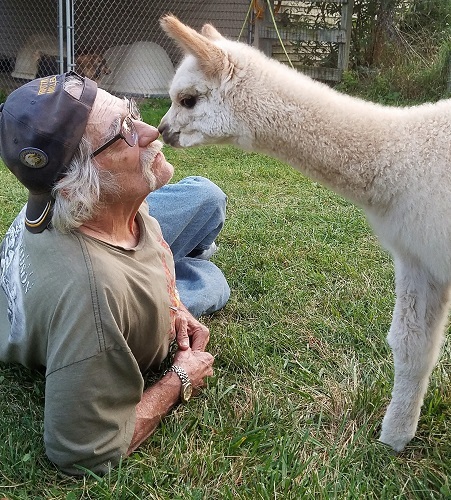 Bred to a bay black he produced a dark female, bred to white he produced a stunning white female, bred to light fawn he produced a medium fawn female, and bred to a medium fawn....a dark brown male with gray on his face, rose gray legs, four white socks! 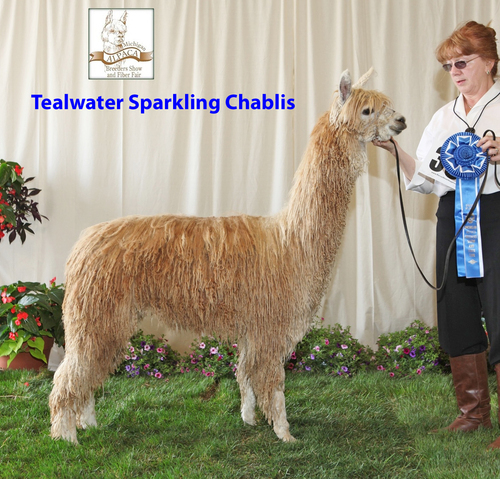 Crias bred on our farm since we acquired Apollo include his daughter Arabella who placed 1st in her first two shows, his son Ritz who placed 1st in his first show, and his daughter Chablis again with two first place ribbons in two shows. 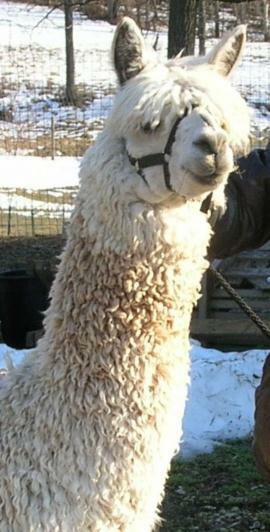 In 2009 Apollo was bred to a white female on another farm, who in turn gave birth to a white female in 2010. In 2012 that white Apollo daughter was bred to a black and produced Wil, a vigorous true black show quality grandson demonstrating the dark color genetics Apollo has to offer. 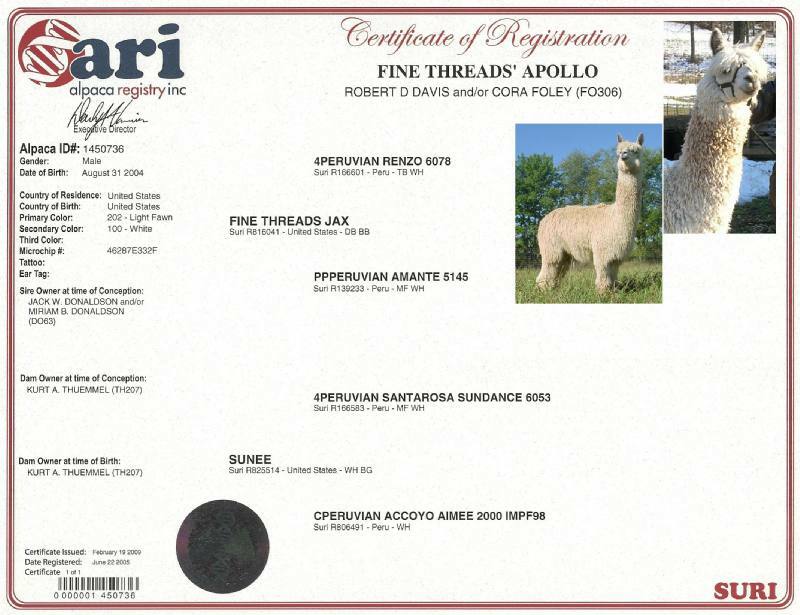 Apollo's strengths are his exceptionally well-balanced, solid-boned conformation, and fiber that maintains excellent lock structure, density, consistency and luster throughout his blanket every year. 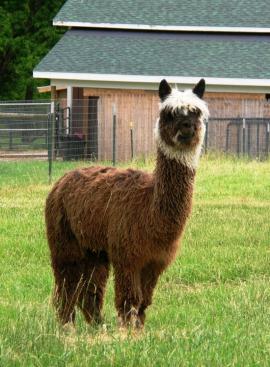 His genetics offer Accoyo bloodlines from his Dam, Sunee, 1/2 Accoyo and his granddam, CPeruvian Accoyo Aimee. Apollo complements the dam's traits and passes luster, fineness, lock structure and density to his offspring. 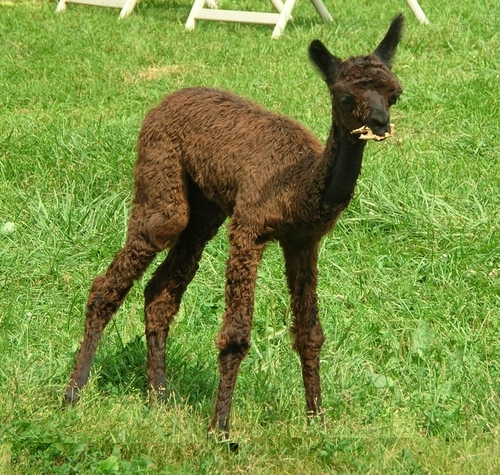 His cria are solid, well-boned and vigorous, typically covered with silky, twisted lustrous locks. We thought enough of Apollo's impressive presence to show him at the AOBA Nationals, and had complete strangers comment that he was "just stunning!" We thought so too.